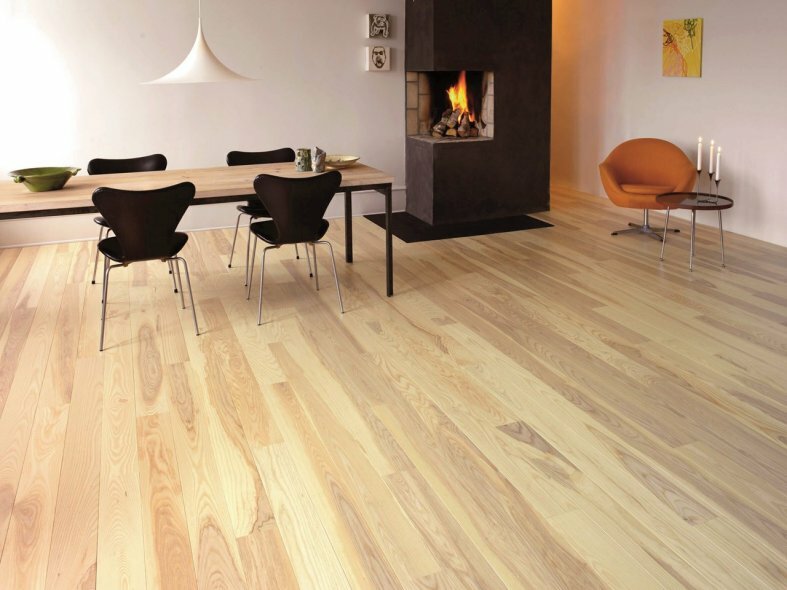 Ash is one of the widespread European and North American hardwood species and with its excellent strength properties is very desirable as flooring. Dark ash has a very characteristic and vivid appearance with a beautiful contrast between the dark brown heartwood and the light parts of the wood. 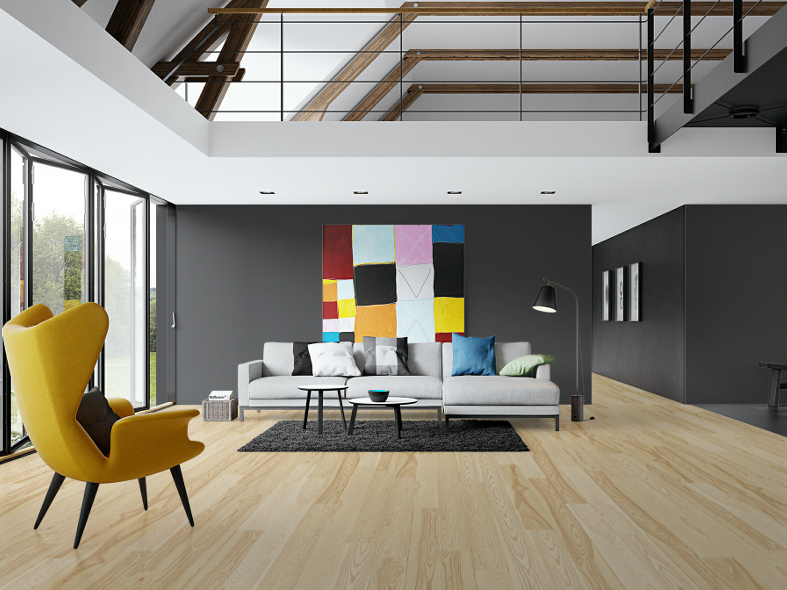 Slightly white toned by using the colour Nordic, a Scandinavian touch is added to the floor.